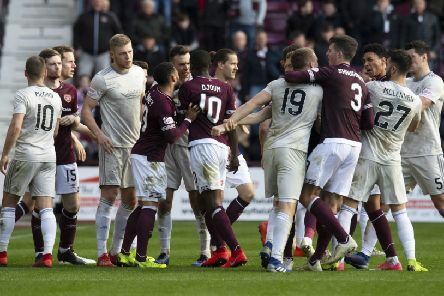 Hearts have been fined £500 for their part in the mass confrontation during the Ladbrokes Premiership match with Aberdeen at Tynecastle last month. 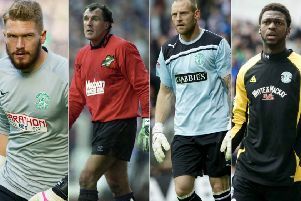 Poll: Who is Hibs’ best goalkeeper of the last 50 years? 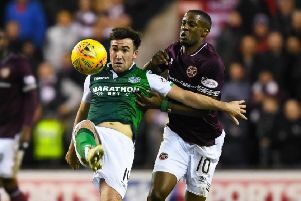 After Ofir Marciano’s heroics against Celtic, have your say on who Hibs’ best No.1 has been over the last half-century. 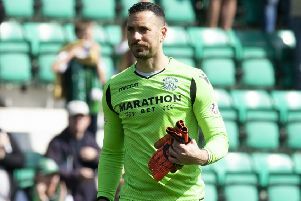 Ofir Marciano remains committed to Hibs despite being offered more money from clubs in Israel to return to his homeland. 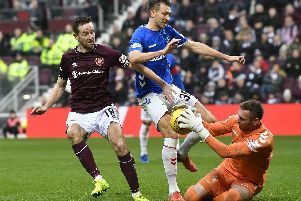 Michael Smith has gone 14 years as a footballer without tasting the experience of walking out at a major cup final - and knows his wait will continue if his Hearts performances slip over the next five weeks. 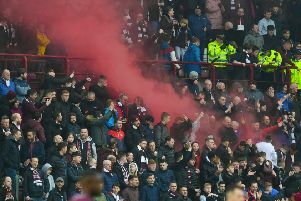 Hearts fans and supporters of other Scottish clubs have been reacting to Ann Budge’s decision to close part of the Wheatfield Stand in response to misconduct at matches. 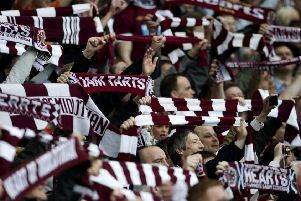 Hearts have issued an update on ticket sales ahead of this weekend’s William Hill Scottish Cup semi-final against Inverness Caledonian Thistle. 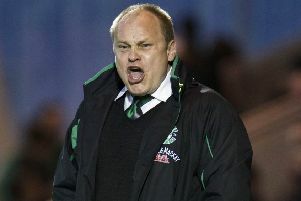 Former Hibs boss Mixu Paatelainen has been appointed manager of the Hong Kong national side. 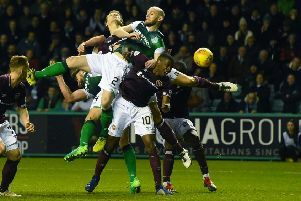 Hibs’ run of seven straight wins came to an abrupt end as they were knocked off the top of the SPFL Reserve League table, beaten 3-2 by Rangers despite taking an early two-goal lead at the Ibrox club’s training centre. 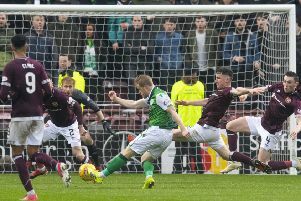 Hibs hero Daryl Horgan insists Saturday’s derby win at Tynecastle was the best moment of his career. 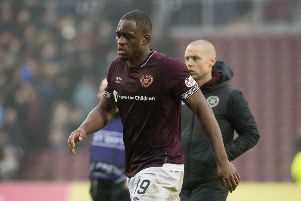 Hearts v Hibs: Ikpeazu and Smith to start for Hearts? 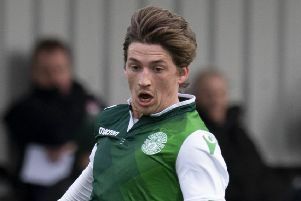 | McGregor back for Hibs? | Derby debuts for key men? 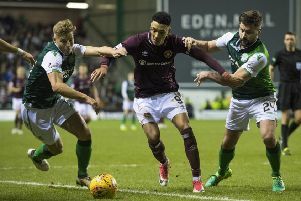 Hibs make the short hop across town to face their Capital rivals Hearts in Saturday’s lunchtime Edinburgh derby at Tynecastle. 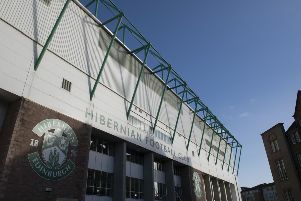 Hibs have struck a deal with V12 Retail Finance, following issues with previous season ticket partner Zebra Finance. 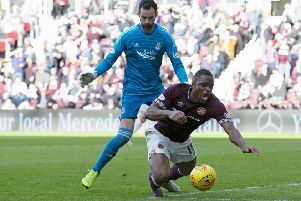 Hearts have successfully overturned the yellow card shown to striker Uche Ikpeazu for diving in the Tynecastle side’s 2-1 win over Aberdeen at the weekend. 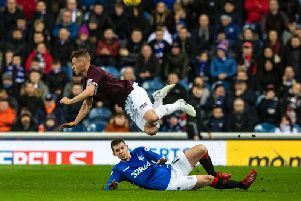 Hearts travel to Ibrox tonight looking for a vital three points in their battle for a European berth come the end of the season. 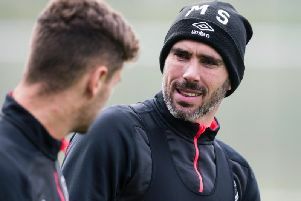 Hibs v Kilmarnock: Slivka to start? | Battle for top six | Goals on the radar? 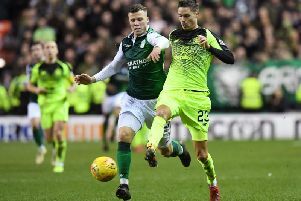 Hibs host Kilmarnock in the Ladbrokes Premiership on Wednesday evening, looking for a vital three points in their bid to cement a top-six finish.